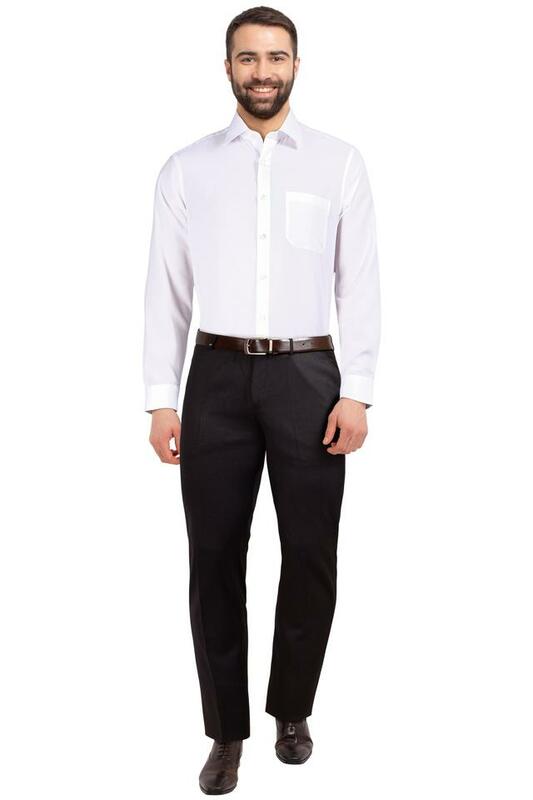 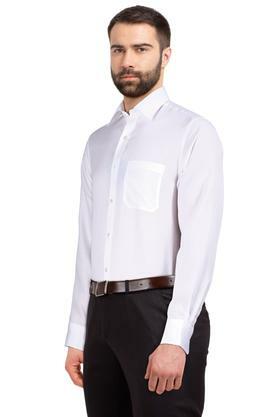 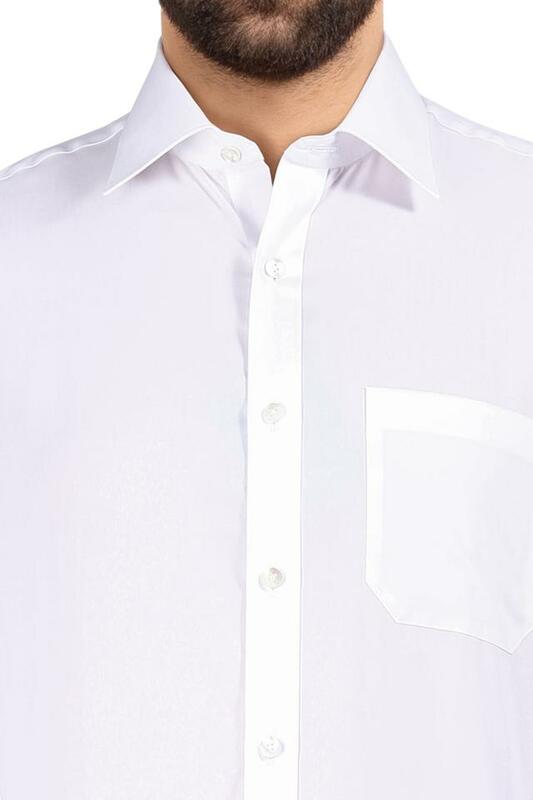 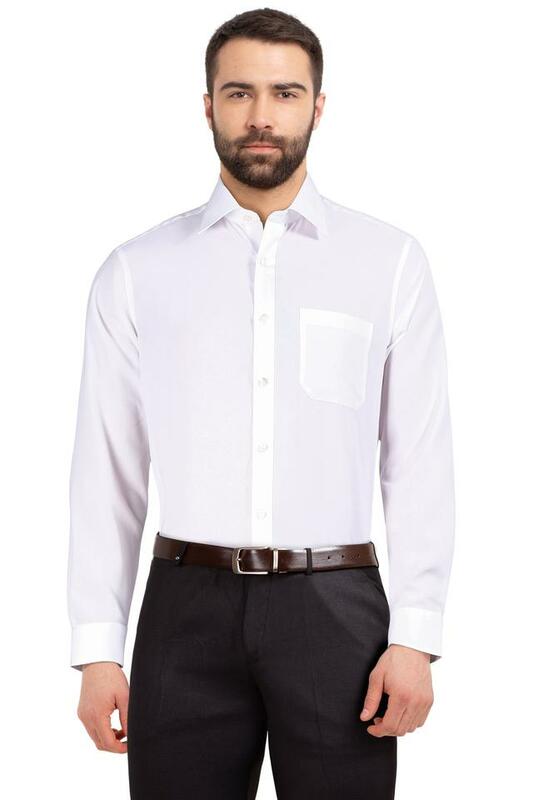 Liven up your wardrobe with this formal shirt from Louis Philippe. 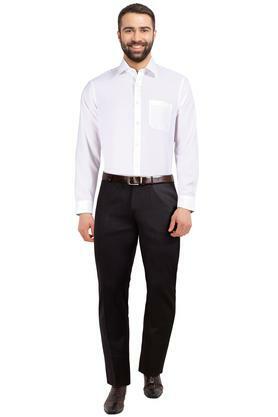 Tailored in good quality fabric, this perfect fit shirt is comfortable to wear. It features a solid pattern which makes it stand out in terms of looks. Moreover, it has full sleeves along with a collar that adds to its design. Look trendy and stylish this season with this shirt. 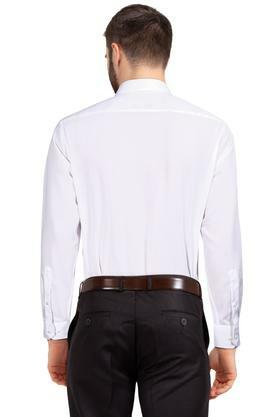 You can wear it with a pair of trousers and lace up shoes for the desired look.